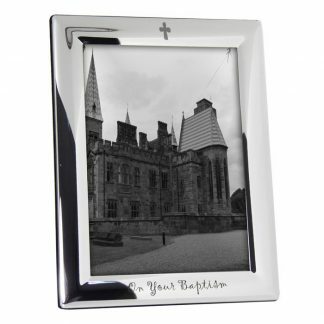 An elegant Silver Plated photo frame. 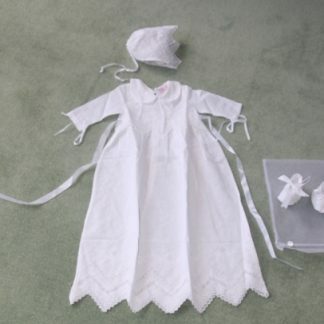 The perfect Christening/Baptism gift. This beautiful and elegant frame is silver plated with a reflective mirror finish and holds a 5 x 7 inch (12.5cm x 18cm) portrait. 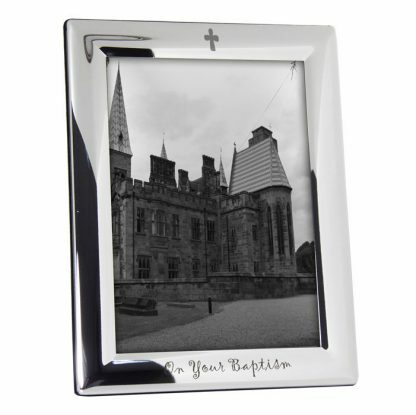 The frame is tarnish resistant and the back is finished in a black velvet. Comes boxed. The top of the frame has a sweet crucifix. 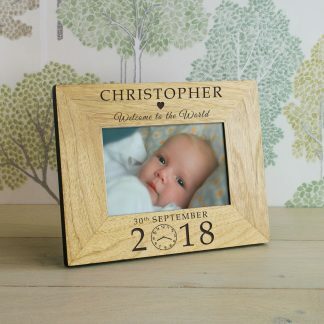 The foot of the frame is engraved with “One your…. Baptism/Christening”.